My little girl like to read Clifford books and even watch the Clifford shows on TV. 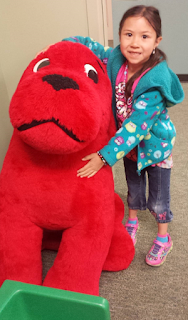 At their school library, we found this huge clifford, so I took a picture of my little girl. She is so happy to be able to be in a picture with Big Clifford! 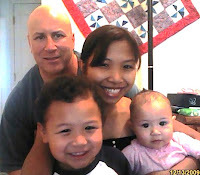 :-) Look at Clifford, she looks at Dana like, what's up little girl? :-) Cute!